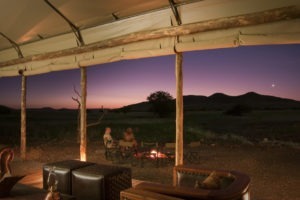 "An exclusive and unique wilderness experience"
An exclusive camp set in a true wilderness, where the black rhino roams free. 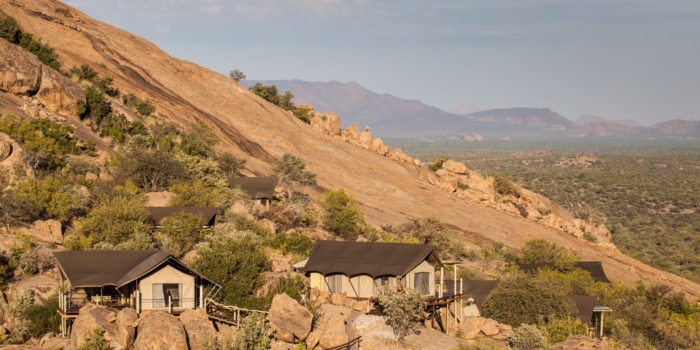 In a wide valley surrounded by stacked granite rocks, deeply carved gorges and open plains grasslands lies Desert Rhino Camp, in the private Palmwag Concession. 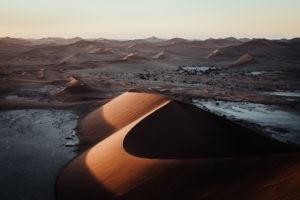 This untamed Damaraland region is home to the largest free-roaming desert-adapted black rhino population in Africa. 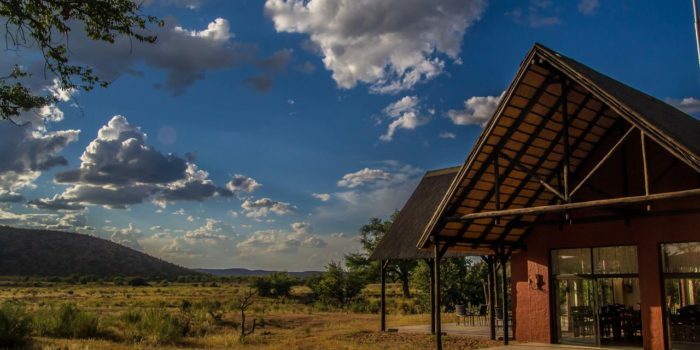 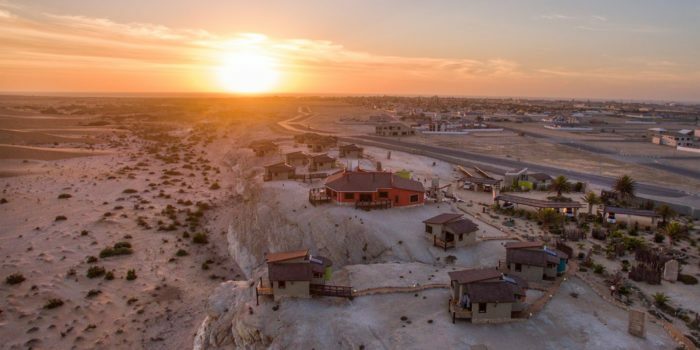 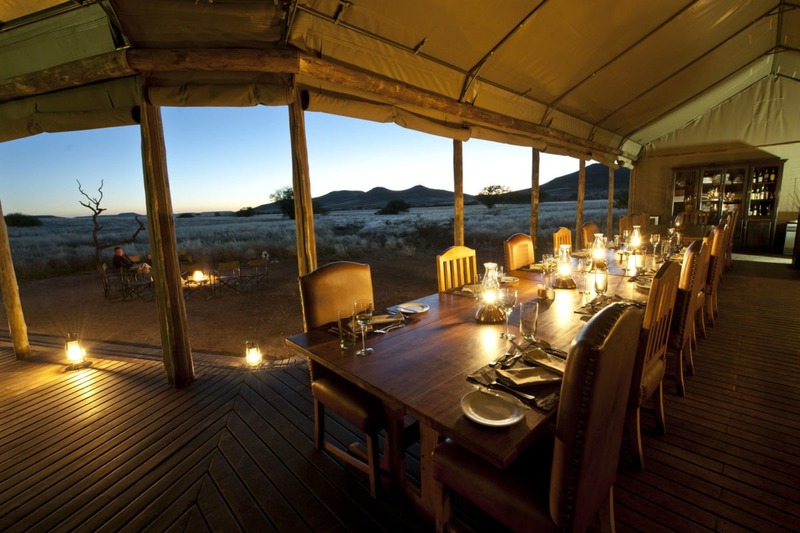 Desert Rhino Camp is run in conjunction with the local community and Save the Rhino Trust and a portion of their revenue goes to the Trust and its conservation operations contributing to the conservation of the area and the protection of its inhabitants. 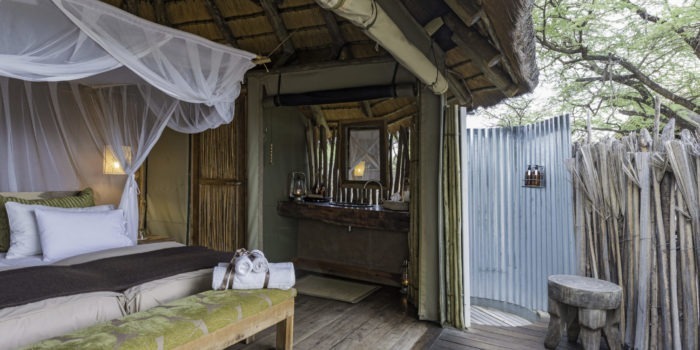 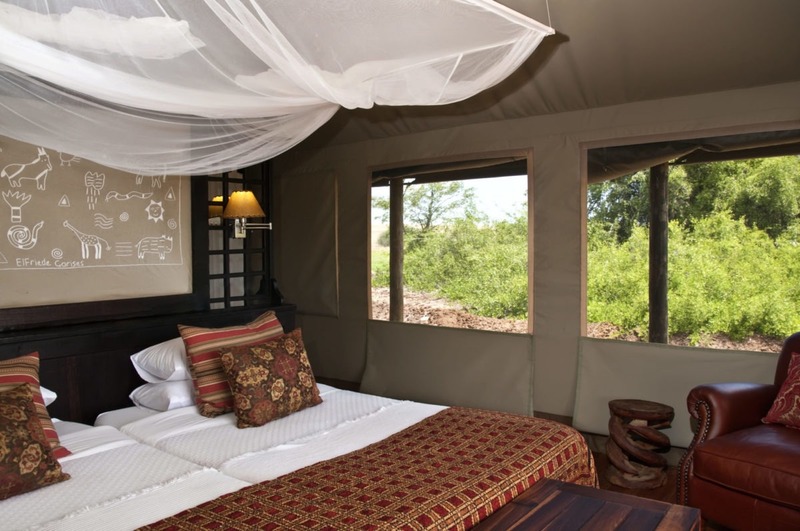 The camp has eight comfortable Meru-style tents, each featuring an en-suite bathroom. 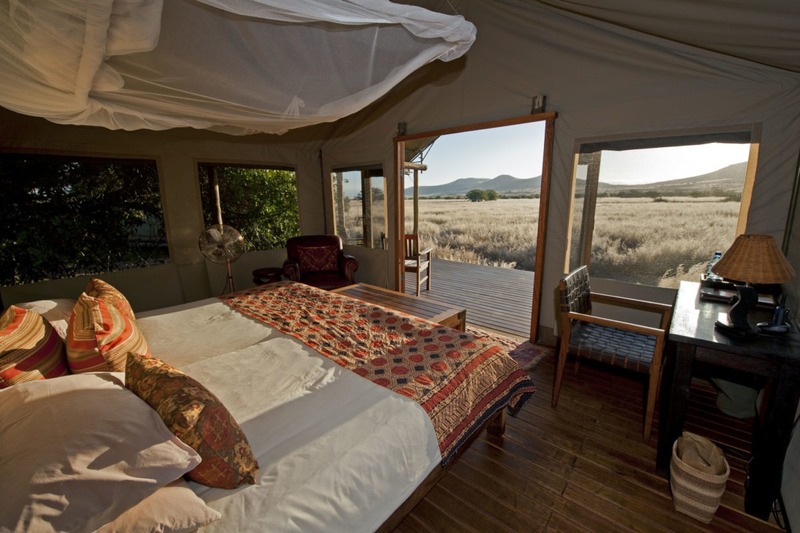 The spacious canvas tents extend onto a wooden deck overlooking the remote wilderness of Damaraland with a day-bed and armchairs for relaxing. The main area, built under a long canvas tent on a raised wooden deck, overlooks a sweeping plain and mountains in the distance. 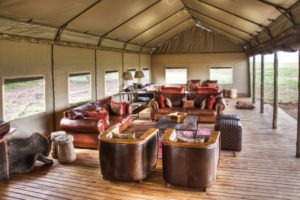 The lounge offers comfortable leather couches and other furnishings creating a very cozy atmosphere. 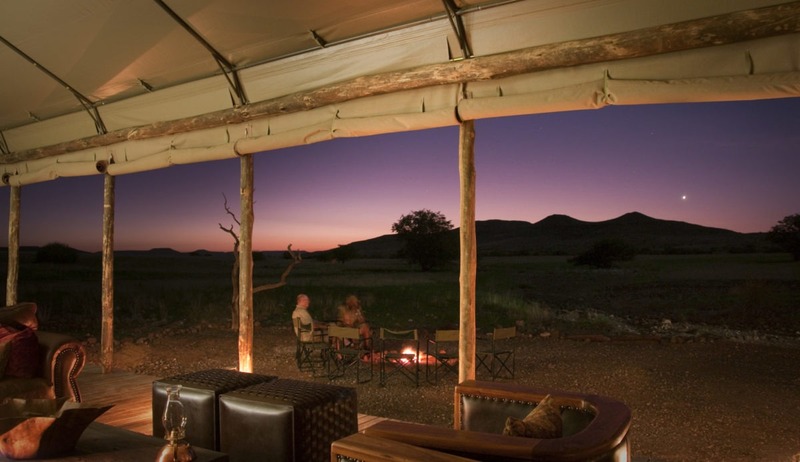 Guests can enjoy a dip in the plunge pool and after a long day the campfire encourages inspired storytelling under Namibian skies. 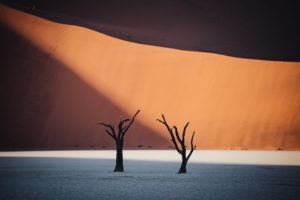 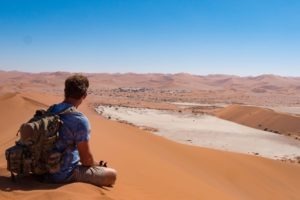 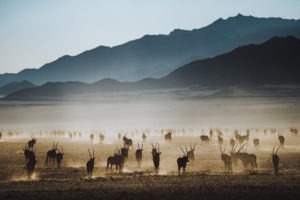 Spend your days on safari with highly-knowledgeable guides in search of desert adapted rhino, elephant, gemsbok, giraffe and Hartmann’s mountain zebra. If you’re lucky you might even catch glimpse of predators such as lion, cheetah and brown and spotted hyena. 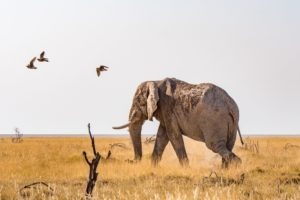 Rhino tracking on foot with the trackers from the conservation organisation is a truly unforgettable and exclusive experience and enables up-close encounters with these unique creatures. 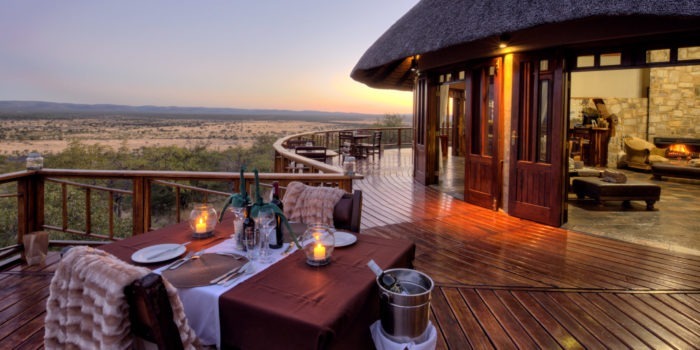 Bush walks offer a perfect opportunity for guests to learn more about the humble fauna and flora of this incredibly harsh environment. 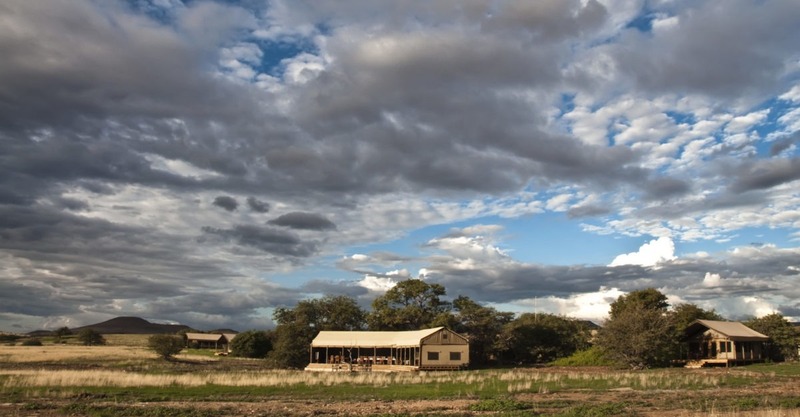 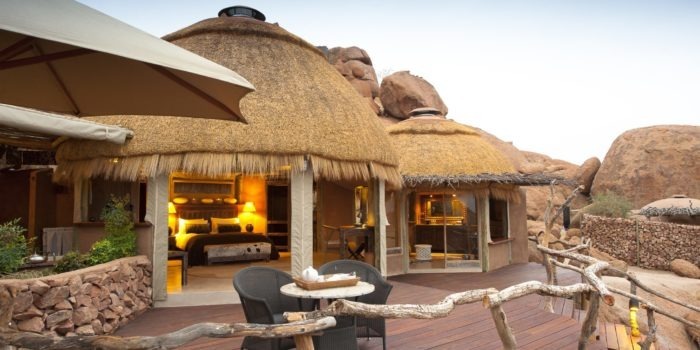 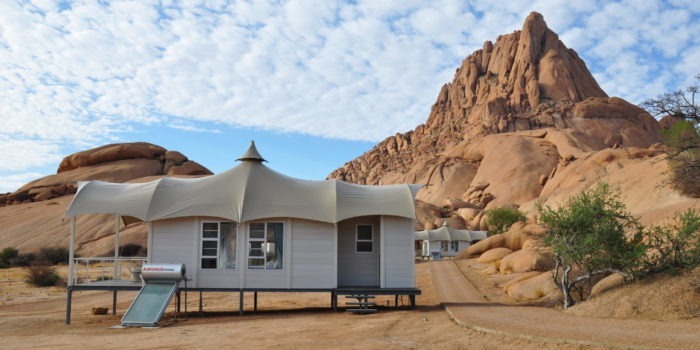 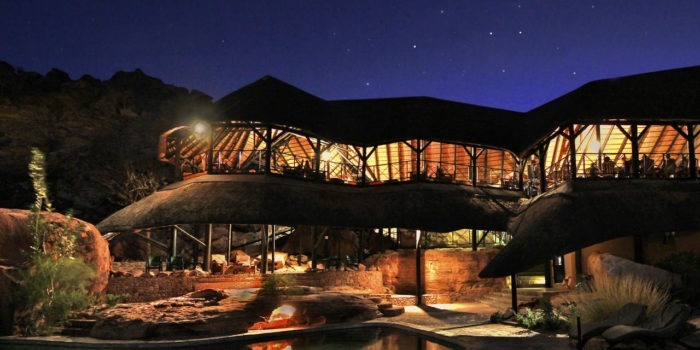 Set in the remote private Palmwag Concession in the dramatic scenery of Damaraland. 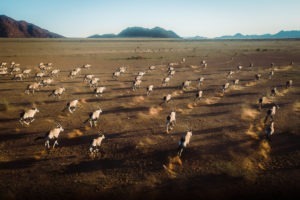 Home to the largest free-ranging population of desert-adapted black rhino. 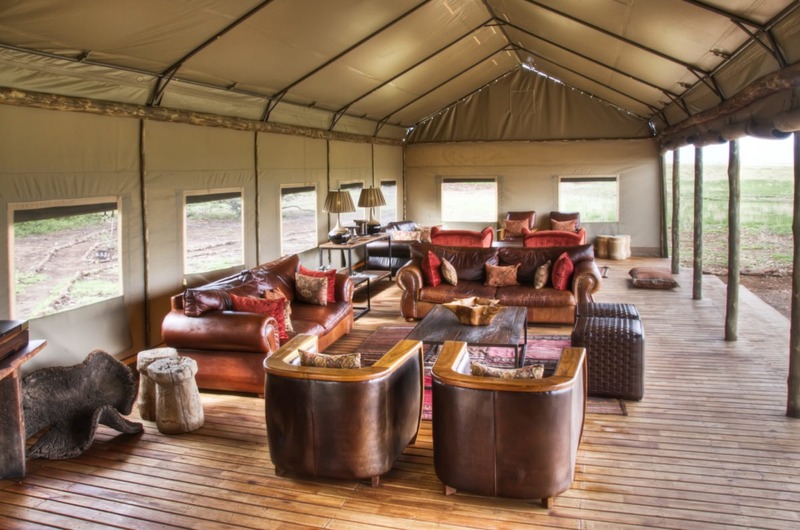 Eight stylish tents, offering an exclusive experience. 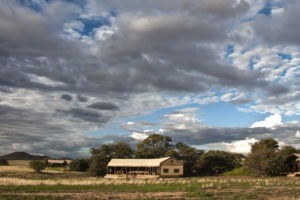 Supports the local community and Save the Rhino Trust. 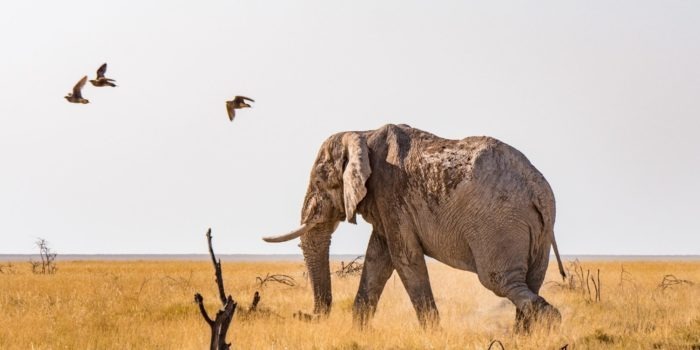 Unique activities with trackers from the conservation organisation.